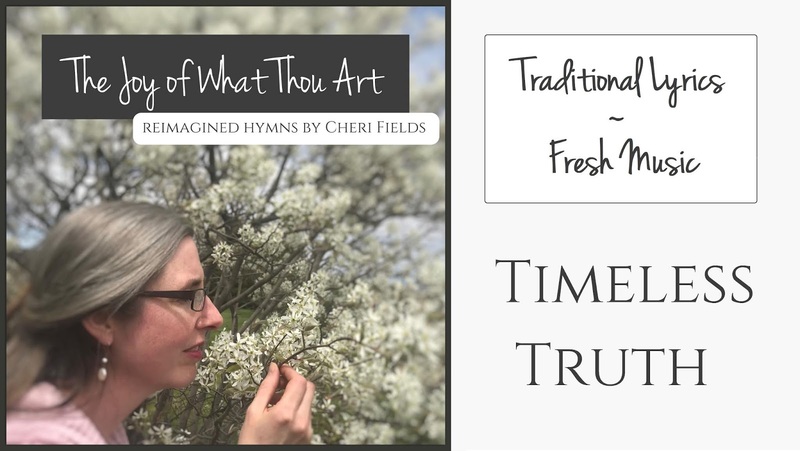 Reimagining hymns to glorify Jesus! As a teenager I would sometimes take a break from studying Bach and Beethoven to pull out a battered old hymnal and play through different hymns that caught my eye. My focus was usually on ones I didn't hear sung even in a strongly hymn-based worship environment. Some hymns I could see were just same-old, same-old, but others had the most delicious lyrics that touched my heart- but when I went to play them the music felt flat or even was at cross-purposes to the words. Then life got busy. I lived in a foreign country with my missionary husband for a few years, started a family, and was soon wrapped in an intense season of homeschooling, child bearing, and church ministry. I barely had time to sing the music I knew! Over the past year, with the encouragement of my music pastor, I've been dusting off my love for music and worshipful singing. Our church already had added to its congregational repertoire a modern setting of a hymn with lyrics well over a hundred years old. Perhaps I could try my hand at resetting some of the words that had touched my heart so many years before so they could reach a new audience with differently tuned ears? Jesus, I am Resting, Resting was one of the hymns that had stayed with me all this time. I started with resetting it and took off from there. Whether the music does justice to the words and makes them stick in your heart is up to you, but I've found this creative journey both a delight and an experience of intense devotion. Both for my own sake and because I love the thought of restoring life to the works of those who have been in heaven for many years now, I have only chosen to rework lyrics that have entered the public domain. All the lyrics I use were written before 1923, sometimes hundreds of years before. The authors of these poems have been basking in the presence of Jesus for decades or centuries, while their words still speak to our experiences today. I'm not usually the emotional one, but I've shed tears over many of these words, particularly When I Survey the Wondrous Cross, and have felt my own heart laid bare at Jesus' feet. 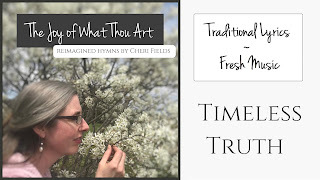 My prayer is that this secret time of devotion and connection with both Jesus and the lyrics authors will flow out to embrace you and sweep your soul along in an experience of both worship and the connection we have with those who have gone before us. My music technician told me this next song was his favorite. I have always appreciated the second verse with how it points to vibrancy Jesus gives to the natural world and it was a delight to give these sweetly powerful words a fresh tune perfect for taking a brisk walk to! Copyright Cheri Fields. Travel theme. Powered by Blogger.